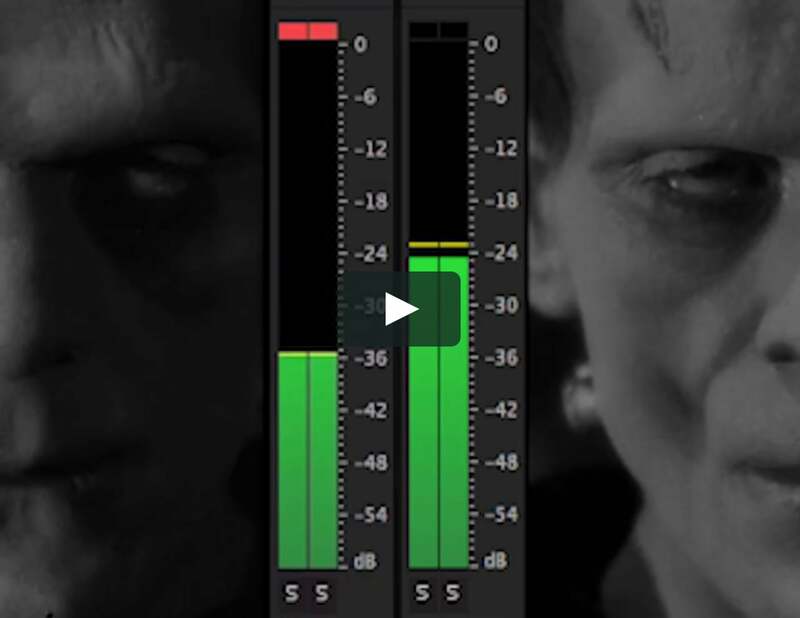 The video essay “Sight and Sound Conspire” offers a meditation, in three acts, on the relations between the visual and the auditory in James Whale’s classic horror film Frankenstein. Introducing the iconic image of the creature (played by Boris Karloff, realized by makeup artist Jack Pierce, and long defended as a visual trademark by Universal Studios), Whale’s film drew its power to frighten audiences from the particular relations that images and sounds had with respect to one another in the early years of sound cinema. According to film historian Donald Crafton, the transition to the talkies was largely over by 1931. But as Robert Spadoni argues, the horror genre, which emerged after the transition’s completion, captured some of the energies of the transitional period and preserved them into the era of sound. Between about 1926 and 1931, while the transition was still in full swing, technical glitches were common and the sight – and sound – of human figures speaking on the big screen was still more or less novel; unaccustomed audiences, as Spadoni documents, reported experiencing these figures as “ghostly” or “uncanny bodies.” Horror films, beginning in 1931 with Dracula and continuing with Frankenstein later that year, capitalized on these experiences, which were already beginning to fade from audiences’ memories, and transformed them into the literally uncanny bodies of vampires, werewolves, mummies, and other monsters. Films like Dracula, Frankenstein, and The Invisible Man (1933) played centrally with the relations between the visible and the invisible, and the audible and the inaudible, offering them up in a variety of permutations: the vampire’s body (in human form) was uncannily silent and under certain circumstances invisible (e.g. when viewed in a mirror); the Invisible Man, on the other hand, was completely invisible while extremely noisy; and Frankenstein’s monster was preeminently visible (an instant visual icon) but uncannily mute. Horror, in other words, was generated in and through bodies that enacted (or re-enacted, as it were) the clash of silent and sound-era cinema, along with the uncertain, often volatile relations between sight and sound that obtained during the transitional period. This video essay seeks to uncover something of this sedimented experience of early horror through a concentrated look at one key scene in Whale’s Frankenstein: the scene in which the newly animated creature makes his first onscreen appearance. Just a few minutes prior, the creation scene, with its noisy electrical equipment ramped up to full capacity, drew attention to the sonic dimension of the film while playing self-reflexively on the relation between diegetic and filmic acts of “animation”: the monster, stitched together from corpses and raised up and exposed to the life-giving flashes of lightning, resembles formally the “dead” photographic traces that are routinely animated – infused with life – through the apparatus of cinema itself. 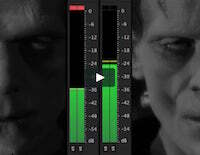 But now, in the scene analyzed in the video essay, the monster’s relation to film is problematized. The monster’s approaching footsteps grow first louder and then go silent, as the monster – who we will soon find out is incapable of speech (unlike the eloquent creature in Mary Shelley’s novel) – backs awkwardly into the room before his iconic head is thrust towards us in a series of jump cuts. This visual assault fixes the iconic image of the monster seemingly forever, while the creature’s muteness embodies a weird re-entry of silent cinema into the world of the talkies. Crafton, Donald. The Talkies: American Cinema’s Transition to Sound, 1926-1931. Berkeley: University of California Press, 1999. Spadoni, Robert. Uncanny Bodies: The Coming of Sound Film and the Origins of the Horror Genre. Berkeley: University of California Press, 2007. This video essay and creator’s statement originally appeared in [in]Transition: Journal of Videographic Film & Moving Image Studies 2.4 (2016): http://mediacommons.org/intransition/issue-2-4.